Day 1 - Monday: Transfer Airport / Hotel in Quito. Accommodation. Day 4 – Thursday: Breakfast in hotel. Excursion Avenue of the Volcanoes. 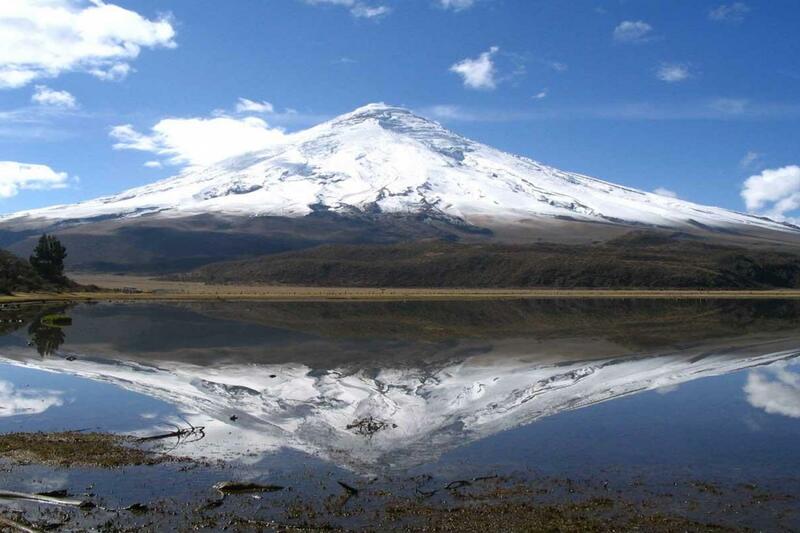 Depart from Quito where you enjoy the journey to the highlands of Ecuador admiring the beautiful view, ideal for taking pictures, brief stop Cotopaxi National Park (entrance not included), arrival at Riobamba city, and accommodation in a typical hacienda. Day 5 – Friday: After breakfast departure to the train station located in Alausí. From her we’ll enjoy a train ride towards the famous “Devil’s Nose”, a magnificent work incrusted in the Andes, (train ride takes approx. 2 hours). Continue to Cuenca visiting the Inca ruins in Ingapirca (does not include entrance), arrival and accommodation in Cuenca. Operation of the train is subject to modifications with our previous notice. We will travel through the city visiting the Calderon Park, the New and the Old Cathedral, the Flower Market, Modern Arts Museum. We continue the tour to the Homero Ortega Panama Hat factory to observe the complete process of manufacturing. 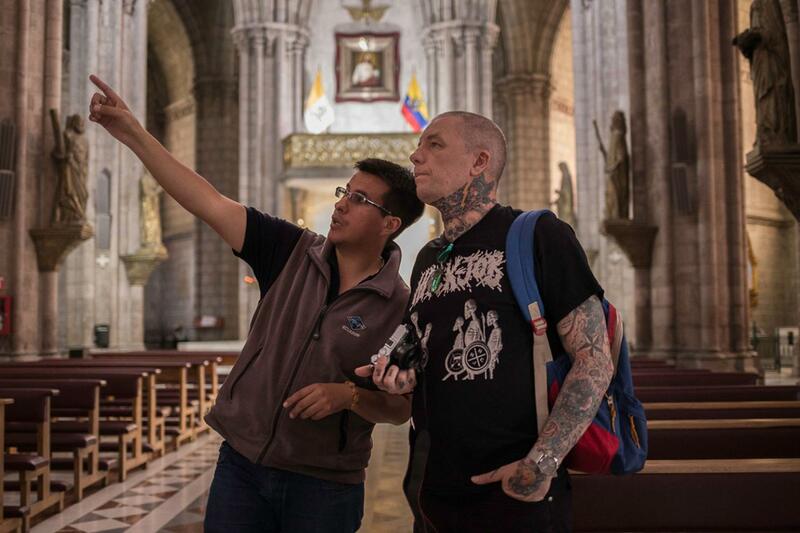 We will also observe the “broken bridge” and finally visit the tourist balcony of “Turi” where we can see a panoramic view of the whole city of Cuenca. Day 7 – Sunday: Breakfast. Transfer Cuenca / Guayaquil. We leave from Cuenca to “Cajas National Park” known for its glacial lakes and high mountain vegetation. Here we will walk through this beautiful place to see some of the lakes and primary forest. We will also visit “3 Cruses” which forms the continental water division. We will walk to observe this curious place. From this point we will begin a dramatic decline to reach the coast of Ecuador. Starting we will begin observing the Andean mountain scenery and then ending up seeing totally different vegetation of the Ecuadorian Coast with large plantations of bananas and cocoa beans. Arrive to Guayaquil. Day 9 – Tuesday: Breakfast. Transfer Hotel / Airport for your flight to Galapagos. Welcome at the Baltra airport and transfer by public buses to the tip of the Itabaca canal, where you will proceed by a public ferry service in the Island of Santa Cruz. Transport will be waiting in order to transfer you to Puerto Ayora, area where the hotels are located on the Island. On the way, you will have the opportunity to visit the lava tunnels and a Turtle reserve. Visit to the Scientific Charles Darwin Station, where you can learn more about the Galápagos Islands; the species that live in this enchanted place, its origin, the theory of Evolution, the conservation programs, and observe some Giant Turtles in captivity. (Transfer operates daily at 13h00). Accommodation. Day 10 – Wednesday: Breakfast at Hotel. In the morning excursion to Tortuga Bay Beach, after 40minute walk (approx.) 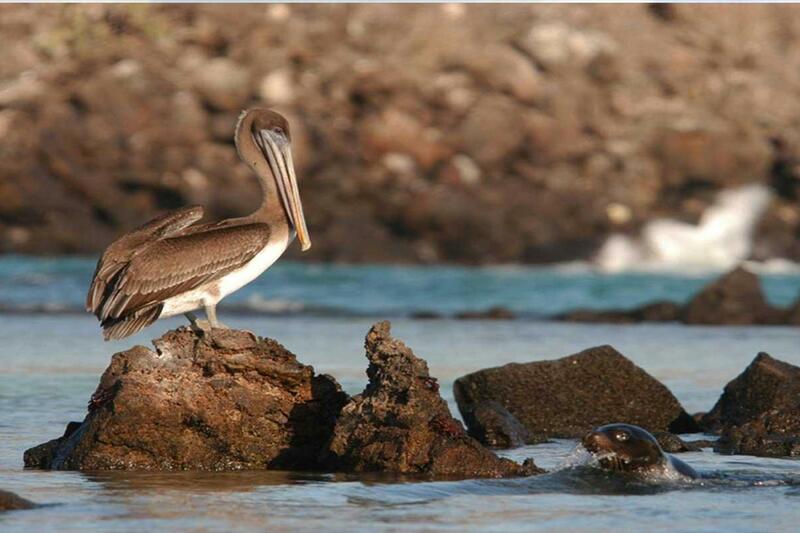 we will arrive to this magic place, one of the most beautiful beaches in the Galapagos, with white sand and green mangroves. “Playa mansa” is where we can swim and enjoy of the beach. Free time for lunch (not included). In the afternoon, tour around the bay on board a yacht, starting with a visit to “La Lobería”, named because of the presence of sea lions. Here you will be able to swim or snorkel. Then we proceed with our tour to the “Canal del Amor”, a marvelous site where nature gives us an unforgettable view; at the end of this channel, just a few meters forward, a viewpoint where we can observe reef sharks; from here we continue with a short walk to see the marine iguanas that inhabit in “Playa de los Perros”. Punta Estrada will also be visited. Return to Puerto Ayora. Note: shipping used in this excursion is a boat engine with capacity for 16 people. This tour only takes place Mondays, Wednesdays, Fridays, and Sundays. Day 11 – Thursday: Breakfast at Hotel. Excursion in yacht to one of the following Islands: Bartolomé & Bahía Sullivan, Seymour & Bachas, Plazas & Punta Carrión, Santa Fe or similar ones. Lunch included and return to Puerto Ayora to accommodation. Day 12 – Friday: Breakfast at Hotel. We will pick you up at your hotel to go to the canal of Itabaca, where a ferry will take you to Baltra Island. At the port you will board a public bus that takes you to the airport. On the route from the hotel to the canal, you will have the opportunity to make a brief stop at the craters "Los Gemelos", crater holes formed by the collapse of materials, surrounded by scalesia's forests. (Transfer operates daily at 07h00, 09h00 and 12h00). Includes only transport. Day 2 – Friday: : Breakfast. Transfer Hotel / Airport for your flight to Galapagos. Day 3 – Saturday: Breakfast at Hotel. Breakfast at the hotel. Excursion in yacht to one of the following Islands: Bartolomé & Bahía Sullivan, Seymour & Bachas, Plazas & Punta Carrión, Santa Fe or similar ones. Lunch included and return to Puerto Ayora to accommodation. Day 4 - Sunday: Breakfast at Hotel. In the morning excursion to Tortuga Bay Beach, after 40minute walk (approx.) we will arrive to this magic place, one of the most beautiful beaches in the Galapagos, with white sand and green mangroves. “Playa mansa” is where we can swim and enjoy of the beach. Free time for lunch (not included). In the afternoon, tour around the bay on board a yacht, starting with a visit to “La Lobería”, named because of the presence of sea lions. Here you will be able to swim or snorkel. Then we proceed with our tour to the “Canal del Amor”, a marvelous site where nature gives us an unforgettable view; at the end of this channel, just a few meters forward, a viewpoint where we can observe reef sharks; from here we continue with a short walk to see the marine iguanas that inhabit in “Playa de los Perros”. Punta Estrada will also be visited. Return to Puerto Ayora. Day 5 - Monday: Breakfast at Hotel. We will pick you up at your hotel to go to the canal of Itabaca, where a ferry will take you to Baltra Island. At the port you will board a public bus that takes you to the airport. On the route from the hotel to the canal, you will have the opportunity to make a brief stop at the craters "Los Gemelos", crater holes formed by the collapse of materials, surrounded by scalesia's forests. (Transfer operates daily at 07h00, 09h00 and 12h00). Includes only transport. Transfer Airport / Hotel in Quito. Lodging. Day 6 – Tuesday: Breakfast. 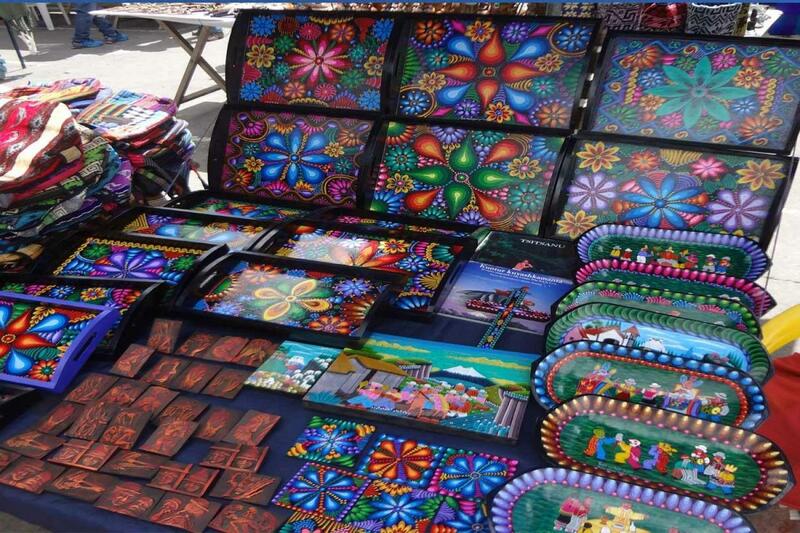 Sumerge into Ancestral Otavalo Culture. Day 8 – Thursday: Breakfast in hotel. Excursion Avenue of the Volcanoes. Day 9 – Friday: After breakfast departure to the train station located in Alausí. From her we´ll enjoy a train ride towards the famous “Devil’s Nose”, a magnificent work incrusted in the Andes, (train ride takes approx. 2 hours). 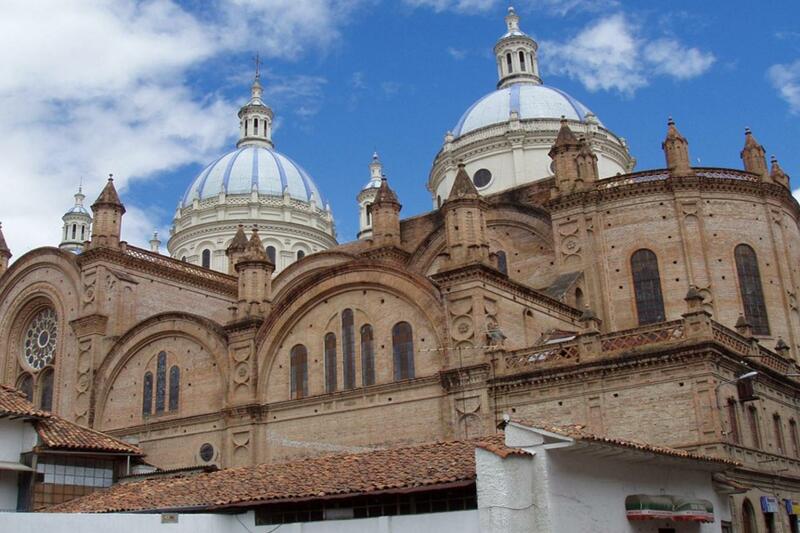 Continue to Cuenca visiting the Inca ruins in Ingapirca (does not include entrance), arrival and accommodation in Cuenca. Day 10 – Saturday: Breakfast. City Tour Cuenca. Day 11 – Sunday: Breakfast at hotel. Transfer Cuenca / Guayaquil. Traveling along the main streets and avenues of the city we will visit the Seminario Park, The Guayaquil embankment, La Rotonda; the colonial neighborhood of Las Peñas, where we can admire the magnificent wood architecture. 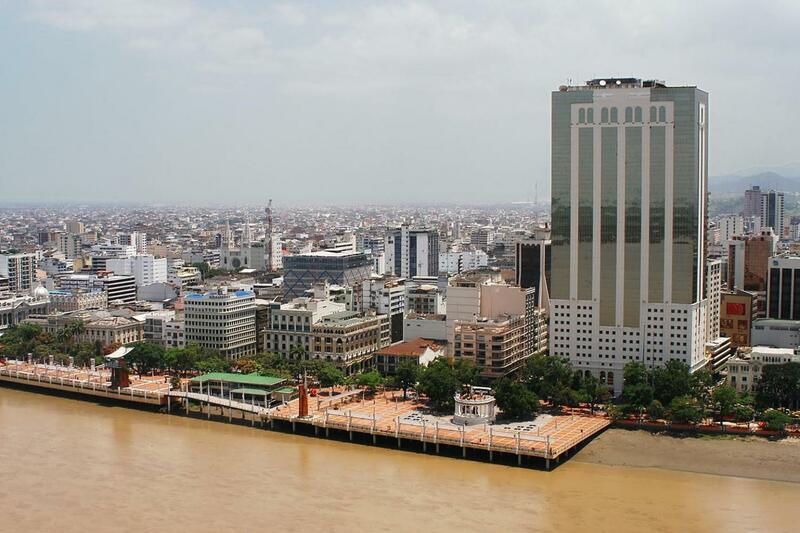 From here we can take a panoramic view of Guayaquil and the Guayas River. Transfer to take international flight.